The NATURE-TOURISM PARTNERSHIP OF UCKERMARK. 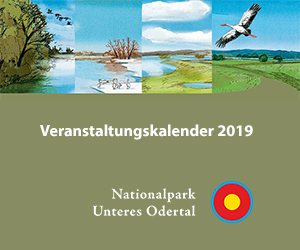 The partnership between the Lower Oder Valley National Park and the region’s touristic providers is one of 18 nature-tourism partner initiatives throughout Germany that works according to the minimum standards and criteria of the umbrella organisation of the National Natural Landscapes, EUROPARC Germany e.V. The goal of the partnership between nature conservation and tourism is to work together for a sustainable development of tourism in the national park region and to form networks. The guest gets to enjoy nature, culture and regional products on a nationwide, standardised, high-quality level. The following documents contain all information for applying as a partner of the Lower Oder Valley National Park.